Looking for a fun way to get your heart rate up? The certified group fitness instructors at Wave Health & Fitness motivate you with cutting-edge classes and strength training moves designed to boost energy, health and mood. From spin to yoga, our fitness classes are designed to get you in shape and keep you inspired through challenging workouts and group synergy. Take a look at our April fitness classes in Boston. A circuit class designed to push each individual in strength, cardio, and core endurance. After a 20 minute circuit, participants will be taken through a focused and challenging ride on Wave's stationary spin bikes. 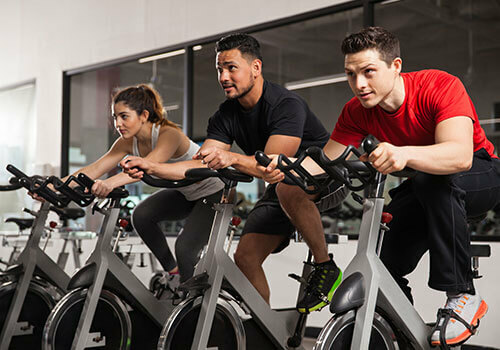 Get motivated with our high-energy stationary cycling class that applies a variety of training methods and strategies. 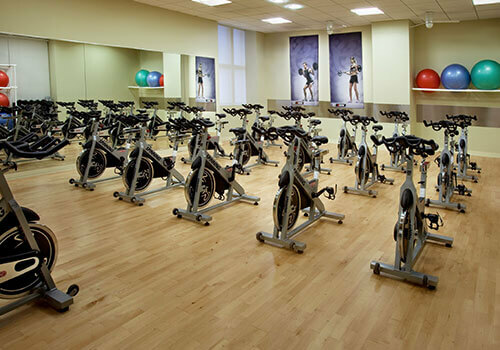 Our cycling classes are a challenging workout for all fitness levels and enhance your cardio endurance. Enjoy a slower paced class that gives different modifications to the traditional yoga theories. Our yoga classes help your body improve general flexibility, strength, relaxation and meditation overlooking the waterfront. This class offers a dynamic series of precise movements and exercises. Pilates enhances your natural alignment and elongates the muscles to achieve tone, fitness and total body training.